Connecting People, Data, Machine And Other Things. 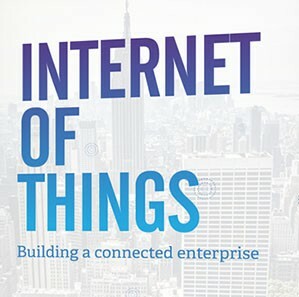 Internet of Things is here and growing. [x]cube leveraged its leadership in digital innovation and expertise in mobile, wearable, big data, and other enabling technologies to build robust expertise over Internet of Things. We help businesses tap into their data streams, connect them to cloud, integrate it with their back-end systems and enable machine-to-machine communication to build a unified system. A system that can optimize processes, scale-up revenue and productivity, glean insights from data to predict customer behavior patterns and help enterprises make more informed decisions - while enabling innovation and transformation in ways couldn’t imagined before. Many organisations are looking for new ways to differentiate themselves from their competitors and to fend off threats from digital disruption. Creating connected ecosystems within enterprises will boost efficiency, fuel growth by exploiting a range of available technologies like mobile, cloud, wearables, sensors etc. 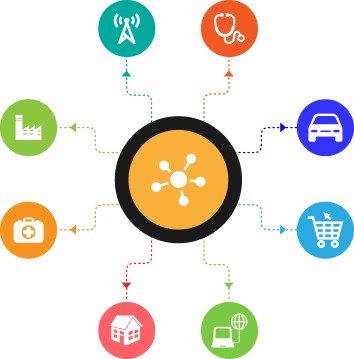 The ability to use and capitalize on the data collected by IoTcan help enterprises innovate and sustain competitive advantage. 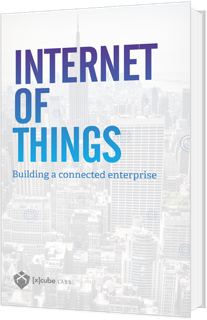 Companies are using IoT to find new revenue streams and improve margins. For example, industrial equipment manufacturers are selling outcomes, like machine hours, rather than just products. IoT is also helping companies increase their operational efficiency by enabling them to monitor assets in a real-time basis. For example, monitoring shipping containers for temperature changes that could affect the quality using battery-powered sensors and 4G LTE connectivity. Our enterprise IoT solutions can help you automate your processes, be predictive in your productivity and gain competitive advantage. Retail Ecommerce, Supermarkets, Distribution & Logistics, POS, Marketing Mobile, Big Data, Data centers, Wearables, POS, Vending machines, sensors, Scanners, Tags, Augmented Reality etc. New technologies are powering the wheels. A collaboration of technologies and engineering concepts are redefining the vehicle into a connected car. 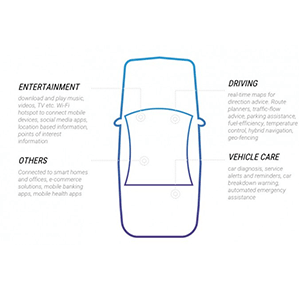 Connected car solutions from [x]cube can fuel innovation and drive consumer uptake by improving the all round driving experience. Connects patient data - from medical devices, Health Information Systems, sensors and wearables - to various facilities- ICU, OT, Nursing Stations, Diagnostic Services, Pharmacies and Payers etc., to build an integrated environment to boost coordination, collaboration and compliance, improve service standards, patient satisfaction and treatment outcomes and accelerate your processes and practices with analytics and rich insights. 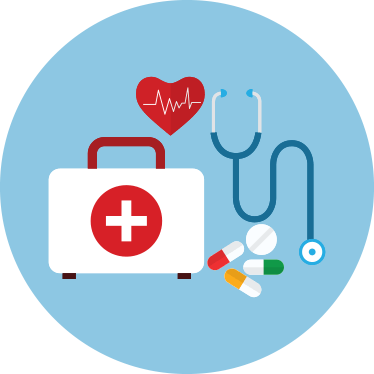 Our connected healthcare solutions enable hospitals to turn every bed into an ICU by integrating sensors, patient data with hospital monitoring systems envisaged in a unique ‘Hardware as a Service’ model. 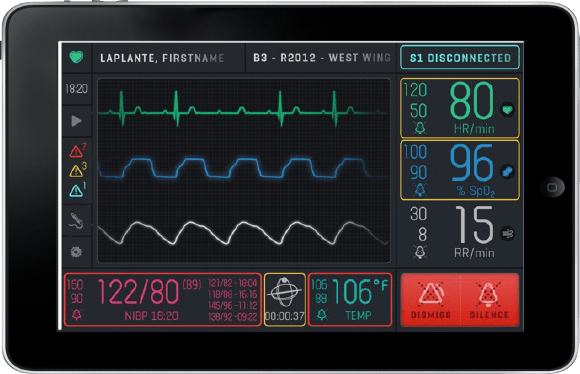 Our connected healthcare solutions enabled hospitals to turn every bed into an ICU by integrating sensors, patient data with hospital monitoring systems envisaged in a unique ‘Hardware as a Service’ model. Imagine living in a world where your coffee machine knows when you wake up and starts brewing a cup of coffee for you. Your door automatically locks as you leave for office. Your car system reminds you of all scheduled appointments and engagements for the day. Notifies important mails received last night. Alerts you when there is an authorized access to your home. Connected thermostats intelligently set the temperature and your music system plays your favorite tracks when you return home. Our smart home solutions will anticipate your needs and automate your daily routines in ways unimaginable before. 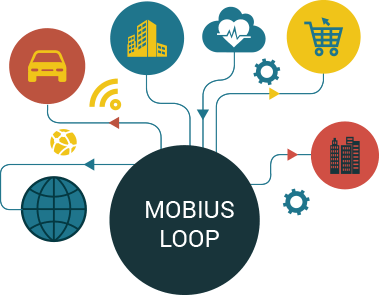 We developed a full cycle 'Internet of Things' platform - MobiusLoop consolidating experiences gained from developing and deploying over 50 Internet of Things solutions. 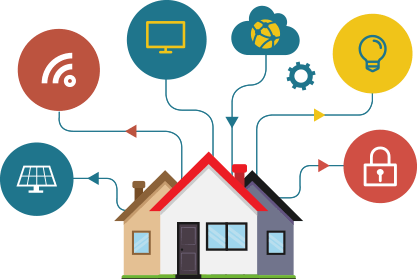 From providing IoT solutions for smart homes, building connected cars to helping healthcare organizations build a connected environment -- MobiusLoop can be the bedrock for innovation and excellence for your business.